BurlyCon 2011 registration has been open for a few weeks, and there’s intriguing news about this year’s classes and workshops as well. 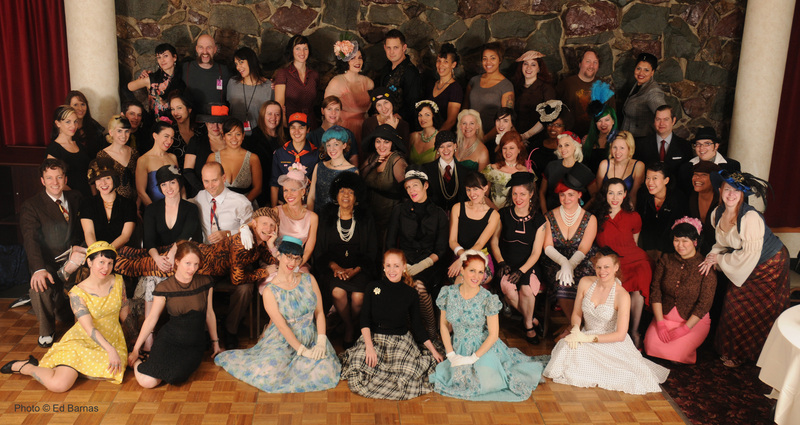 In addition to the absolute blast it is to attend, catch some classes, and hobnob with burlesque luminaries and friends from around the globe, this year the committee behind BurlyCon is offering something new. For the first time, proposals are being accepted via the website for inspired new classes, workshops, presentations, or academic treatments of burlesque as a part of the proceedings. Feel like you have a contribution that might benefit the community at large? Do people tell you time and time again that you make an entrance fit for the Crazy Horse and wish you would teach them how? If so, get cracking on those proposals- this could be your year to positively influence the Glitterati. • A paper will be defined as: a work written by one or more persons that can be delivered in a lecture OR panel type environment. • A panel will be defined as: a one or 1.5 hour moderated session with multiple presenters offering papers OR viewpoints on a topic, followed by Q/A. Topics may include, but are not limited to: movement/choreography, costume creation/care, performance theory, burlesque history, production, theatrical techniques, stage management, make-up, prop or set building, race/age/gender/size/ability, or academic treatments of burlesque. Proposals are due by JUNE 1, 2011. Proposals will be reviewed and confirmation letters will be sent by JULY 1, 2011. The conference takes place OCTOBER 20-23, 2011. See the entire call for proposals and APPLY HERE. EARLY BIRD REGISTRATION is the best deal on attending this year’s BurlyCon, and it ends June 15. Click HERE to register. BurlyCon will take over new digs this year at the spacious Doubletree Hotel (Seatac). Please check out BurlyCon’s link at the sidebar (right) for more general information. ~ by angrytruffle on 04/26/2011.